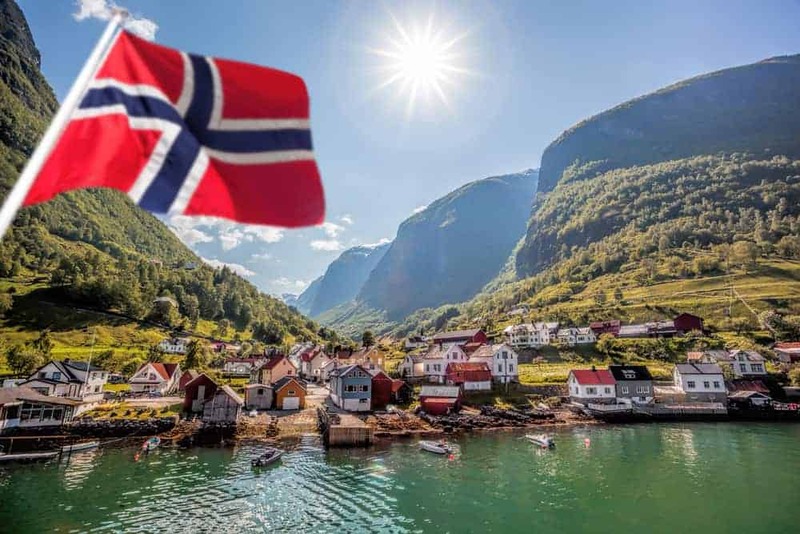 Norway's Central Bank, Norges Bank, has decided to join Sweden and Switzerland in their race for a bank-owned cryptocurrency. The 52-page proposal documents why, how and its consequences. Norges Bank decided to tag along with other central banks and create its own cryptocurrency, as stated in its preface. The bank sees the Central Bank Digital Currency (CBDC) as a complement to fiat currency, not a replacement. The group believes Norges should keep issuing fiat currency, provided people keep their interest in it. However, if there may be a day when society turns solely to cryptocurrencies, a CBDC might be the solution. The group also recognizes there is still insufficient data to make any final decisions, suggesting further studies would be necessary. Norway is not the only country concerned about cryptocurrency adoption. On May 17, Reuters reported the Swiss government was studying the risks and opportunities of issuing their own cryptocurrency. The proposal is similar to Norges Bank’s, in the sense this would be a state-backed cryptocurrency thus centralized — unlike Bitcoin, Ethereum or any of the other big names. The proposal is now in the hands of the Swiss parliament’s lower house. If approved, the Ministry of Finance will be responsible for conducting the necessary studies into the matter. Unlike Norges Bank, Switzerland’s Central Bank has remained clear from the subject. Andrea Maechler, Member of the Governing Board of the bank, believes private cryptocurrencies will always be less of a risk than any central bank issued digital currency. Riksbank was the first European Central Bank to consider issuing a digital currency. Like Norway, Riksbank recognizes the decline in usage of fiat currencies while digital methods keep gaining momentum. Riksbank is currently holding an inquiry which is expected to conclude by the end of next year. The bank wants to fully understand the technical and legal challenges it will face, before releasing its proposed “e-krona”. They state that even though they are considering it, it doesn’t mean e-krona will ever be issued. Like Norway, Riksbank sees the e-krona as a complement to its existing fiat currency, the krona. The project is currently in its Phase 2 with the aim to develop technical solutions, create regulations for the e-krona and test their effectiveness. If all tests are successful and Riksbank recognizes the merit in issuing e-krona, Phase 3 will take place in 2019. During this period, the bank will be testing the digital currency in test environments and prepare it for public launch. This marks the third European CBDC in just two months. As the year progresses, I wouldn’t be surprised to see other European Central Banks jump on board the crypto wagon and create a whole new category of digital currencies just for themselves. Mauro is a freelance journalist with a keen interest in cryptocurrencies. After almost a decade working up the corporate ladder, he has now taken the brave step to pursue his writing career. When he's not covering the latest on crypto stories at [blokt], you can find him writing for his medium blog.